Those were the words of former US Secretary of the Interior Ken Salazar after a review of Royal Dutch Shell’s failed Arctic operations. Three years later, Shell is on the cusp of entering the Arctic waters north of the Bering Strait again. The same seas where the company beached an oil rig, the Kulluk, risking the safety of its crew in an attempt to circumvent taxes. Shell’s shady record was enough to cause significant controversy when the Obama administration recently approved the company’s plans to pick up where they left off in 2012. The same administration that places the possibility of an oil spill at 75 percent appears to think drilling in the Arctic is worthwhile. The Kulluk drilling rig held over 500,000 litres of fuel and drilling fluid when it broke from its tow and ran aground — one of several cringeworthy moments in Shell’s 2012 Arctic expedition. On top of that, in July 2012 Shell’s oil spill response barge was barred from sailing after failing to meet US Coast Guard safety standards. In November of the same year, the Kulluk’s sister rig, the Noble Discoverer, was tagged with 16 violations by the Coastguard — only ten days after the rig’s exhaust system exploded. All the while, a number of banks, insurance companies, and oil giants (or, the capitalist holy trinity) warned against the possibly disastrous consequences of drilling in the Arctic. The twisted irony of drilling in the Arctic makes it all the worse. In 2012, the North pole was warming twice as quickly relative to lower latitudes. 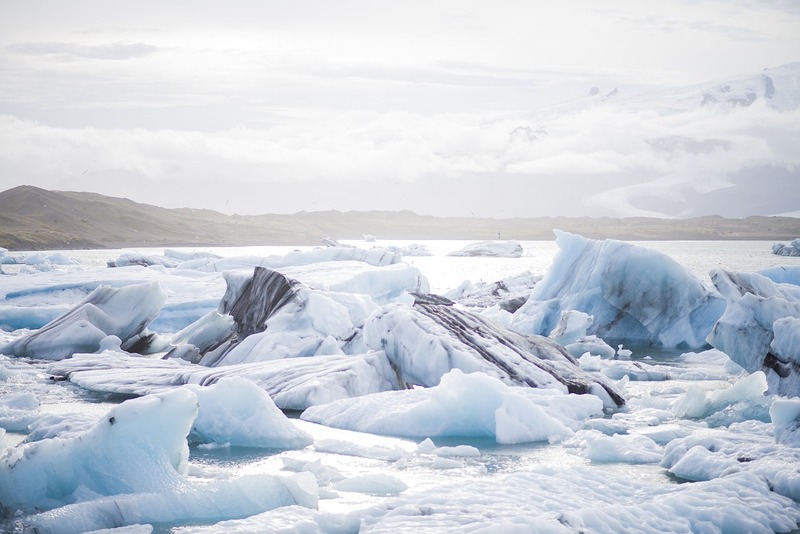 As Vice reports, receding ice cover caused by rising temperatures provides greater opportunity for Shell to carry out their drilling expeditions. In other words, if Shell and their oil buddies keep doing what they’re doing, drilling in the Arctic will only be more accessible in years to come. Ben Van Beurden, CEO of Royal Dutch Shell, has acknowledged the threat climate change poses. In a recent interview on The Guardian’s “The Biggest Story in the World” podcast, Van Beurden expressed the need for constructive policy change around the burning of fossil fuels. He also reflected on the “personal journey” he took before arriving at the decision to resume drilling in the Arctic. Using the phrase “personal journey” strikes me as odd for the CEO of an oil company to use as he has decided to drill in an extremely fragile ecosystem. Also, if Van Beurden believes there should be policy reform to counteract climate change, then in 2012, on what was the 14 million dollars of lobbying expenses spent? After Shell’s Arctic missteps three years ago, the US government enforced a provision which required a third-party audit before Shell was allowed to return to the area. But as The Guardian reported this May, Shell handpicked and paid for the auditor. Despite Shell’s boasting of industry-leading prevention and oil spill response capabilities, forgive me for not being wholly convinced. Former Shell engineer, Robert Bea, was quoted in National Geographic warning, Shell’s “ability to deal with an uncontrollable [spill] in the Arctic, even in the summer, is limited”. If you aren’t concerned about Arctic drilling yet, then consider the nearest Coast Guard station with the personnel and equipment vital to a spill response is over 1,500 km away from Shell’s drilling site in the Chukchi Sea. Perhaps above all, Shell’s decision to drill in the Arctic is a human right’s issue. Aboriginal communities around the Chukchi Sea depend on the hunt of bowhead whales; the migratory patterns of which stand to be disrupted by drilling. As the Guardian reports, the practice is more than just a cultural tradition. It provides relief from the astronomically high prices of food in those communities. Moreover, the Dutch court ordering its government to reduce carbon emissions by 25 percent over the next five years calls into question not only the morality, but also the legality of Shell’s pursuit for fossil fuels. How, with the visible consequences of climate change and the effect drilling has on northern communities, can the extraction of fossil fuels be considered less than outrageous? Shell considers the Arctic as the new frontier of energy. What’s important then, is that the frontier and its people are protected. Be that by a personal boycott of Shell, signing petitions, or protest, the Arctic is a valuable and vulnerable piece of the earth that needs all of us to work for its conservation.